Facebook or Russia: Who’s the Real Threat? 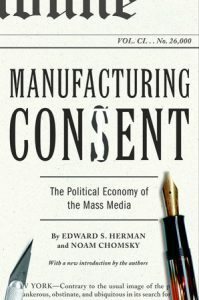 Herman, a strong supporter of the Institute for Public Accuracy, wrote many books including The Real Terror Network and, with IPA board member Robert W. McChesney, The Global Media: The Missionaries of Global Capitalism. His last piece was “Fake News on Russia and Other Official Enemies: The New York Times, 1917–2017” for Monthly Review. Levine added: “The Senate hearing basically had lawyers of the biggest technology [firms] in America going down the line, pledging their allegiance to America and to protect America and doing everything they could to prevent foreign meddling and foreign influence in American society. This is coming from companies that have, for years, told the world, have told countries like Russia, Iran, Venezuela and China that their platforms are totally politically neutral and that they’re in no way connected to the U.S. government or to the goals of the bigger national security state in America’s foreign policy apparatus.